Souvenir NameCeramic Cup With MirrorMOQ100PCSCapacity400mLProduct Size11x14.5 CMMaterialCeramicsImpr.. Souvenir NamePortable Travel Tea SetMOQ100 SetsProduct Size22x14x10 CMAvailable ColorWhite, Black, G.. Souvenir NamePortable Travel Tea SetMOQ100 SetsMaterialCeramicProduct Size22x14x10 CMAvailable Color.. Souvenir NamePortable Travel Tea SetMOQ100 SetsProduct Size13.5x7(H) CMMaterialABS+Metal Plate+Cerem.. Souvenir NamePortable Travel Tea SetMOQ100 SetsProduct Size12x12x7CMMaterialABS+Ceramic+Cotton Cloth.. Souvenir NamePortable Travel Tea SetMOQ100 SetsProduct Size13.7x13.7x7.2 CMMaterialABS+Ceramic+Cotto.. Souvenir NamePortable Travel Tea SetMOQ100 SetsProduct Size21x14x7.5 CMMaterialABS+Ceramic+Cotton Cl.. Souvenir NamePortable Travel Tea SetMOQ60 PCSProduct Size29x19x10 CMMaterialCeramic, CottonAvailable.. 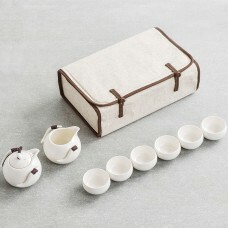 Souvenir NamePortable Travel Tea SetMOQ100 SetsProduct Size16x8(H) CMMaterialABS+Metal Plate+Ceremic.. Souvenir Name Portable Travel Tea Set Pouch MOQ 1.. Souvenir NameTea SetMOQ50 SetsCapacity401-500 MLMaterialCeramicAvailable ColorGreen, White.. Souvenir NameTea SetMOQ50 SetsOuter Packing50 Sets/CTN.. Souvenir NameTea SetMOQ100 PCSProduct Size9x11(H) CMMaterialCeramicAvailable ColorGreen, White, Blac.. Souvenir Name300ML Ceramic MugMOQ300PCSCapacity300MLMaterialCeramicProduct Net Weight300GSample Lead.. Souvenir Name650ML Ceramic MugMOQ1000PCSCapacity650MLMaterialCeramicProduct Net Weight300GSample Lea..